We started Tom Royer and nephew Geoff Royer’s trip to Colombia, South America, in the city of Medellin. Day 2 found them some 335 miles southwest in Bogota, the nation’s capital. Bogota sits in the center of Colombia, on a high-altitude plateau that provides year-round steady temperatures that help make it one of the world’s great flower-growing regions. Tom and Geoff visited two more farms. The first was Elite, one of the largest growers in Bogota and our source mainly for roses and alstroemeria (lilies). The cut point is, as the term suggests, the stage in the flower’s life cycle at which it is cut from the plant. There is an art to this, as we have to factor in the amount of time from farm, through customs in Miami, to our distribution center, to our stores and, finally, to our customers. While Elite has machines to help newer employees with grading the roses for head size and length, all of Connells Maple Lee’s roses are hand-graded by Elite’s experienced crews to ensure the best quality. From Elite, Tom and Geoff visited the Geoflora farm, a carnation grower whose quality, Geoff said, is second to none. Besides inspecting the mini-carnations and carnations that Geoflora is growing for us for Valentine’s Day, they got a glimpse at some of the new products the farm is developing with its breeder. “They have developed a carnation head size that is almost in a class of its own,” Geoff said. Connells Maple Lee is seeking independent drivers to help with Valentine’s Day deliveries on Feb. 13 and 14, with the potential to earn as much as $150 per day. For more information, call or stop by your nearest Connells Maple Lee store and ask for the delivery room manager. We’re kicking off the 2017 Connells Maple Lee Kids Club schedule with a free event on Jan. 21 in all stores. Children ages 5 to 12 will have an opportunity to make a special “Be Mine, Valentine!” arrangement, featuring a teacup with a heart on it and a red wire stick-in heart. Participants also will receive a free balloon. Registration is required by calling your nearest store: 3014 E. Broad St., Bexley, 614-237-8653; 2033 Stringtown Road, Grove City, 614-539-4000; and 8573 Owenfield Drive, Powell, 740-548-4082. Mother Nature has no qualms with interrupting our plans. Fingers crossed, weather won’t mess with Valentine’s Day. But it’s best to anticipate the worst and order early. Besides, this year Feb. 14 falls on a Sunday, so you’ll have to order early if you want to send flowers to your loved one at his or her place of work. And let’s face it: When the recipient’s colleagues gush over the flowers you sent, it makes you look pretty good, too. If you need more incentive, we have it by the dozen: Orders delivered Feb. 8-12 will be accompanied by a coupon redeemable for one-dozen rose bouquet. The coupon is valid any time in March. We’re asking participants to put their hearts into our free Connells Maple Lee Kids Club event on Jan. 23. 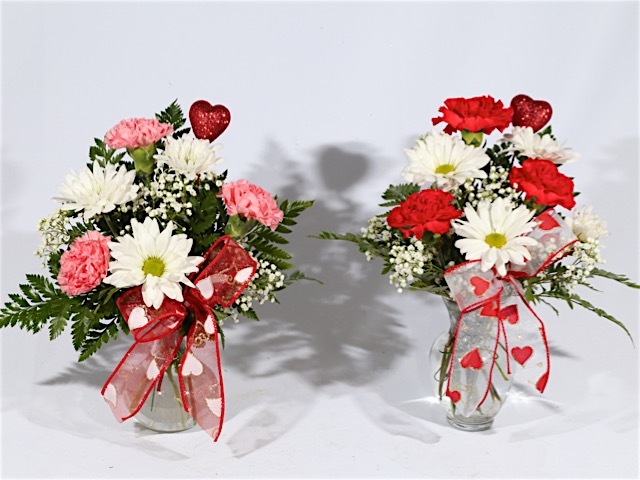 Children ages 5 to 12 will have an opportunity to create a Valentine’s Day arrangement. Participants also will receive a free balloon. This is the first of five kids clubs events planned in 2016. We’re on a mission to turn Valentine’s Day into Valentine’s Week. No, we’re not talking about a loved one having to send you flowers for seven days in a row. 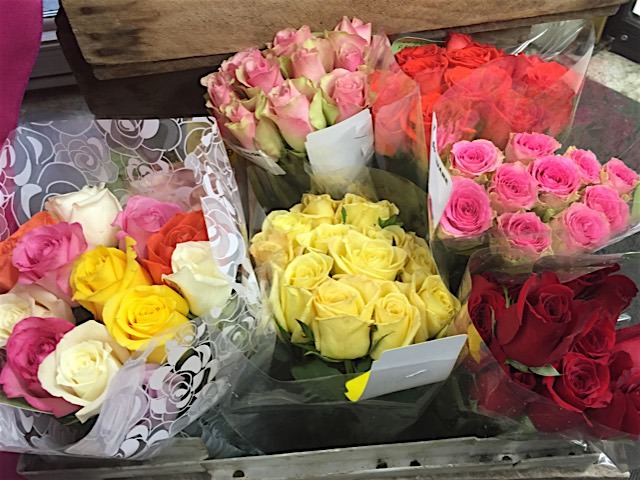 Rather, we want to make sure that you get a week’s worth of enjoyment out of those beautiful fresh-cut roses you just received. 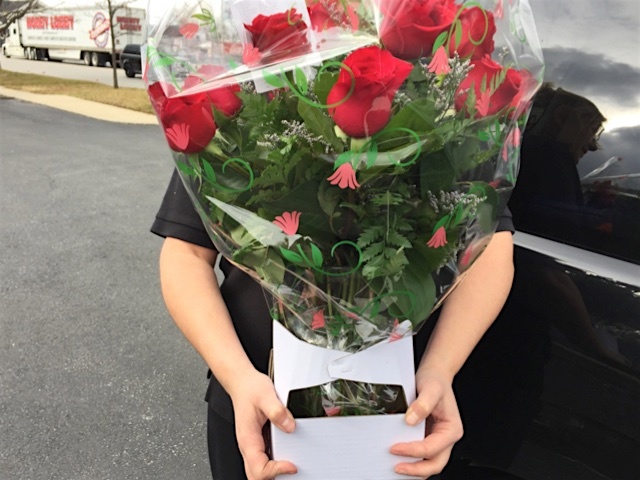 With just a little bit of effort on your part, high-quality roses from your local florist should open and last at least five days, and many times for seven days or more. They will use more water than you think, so add water pretty much daily. If after five days or so the water is getting pretty dirty, pull the roses out, re-cut the stems and put them back in the vase with fresh water. Add a packet of floral preservative, available from your florist. If the water is relatively clean, it is best to leave it alone as it will have some preservative left in it. If the roses came with tubes on the stems, remove the tubes and re-cut the stems about 1 inch from the bottom. It is best to cut at an angle, which creates more surface area for water intake. Place the roses in a vase with water that is room temperature to a little warm. Add floral preservative to the water; you should have received a packet with the delivery. Only change the water if it becomes noticeably dirty. Within a day or two, your roses should begin to open. If they don’t, remove them from the vase, re-cut the stems (at an angle), and return them to the vase. If they still do not begin to open, re-cut the stems but this time also float the flowers in a bath of water for an hour or two to rehydrate them. Then return them to the vase. Most times, this will bring the roses around. Keep roses away from a heat source, such as a vent or direct sunlight. When they aren’t on display, or while you’re sleeping, you can even place the roses in an unheated room or garage. Here’s to a Happy Valentine’s Day or, better yet, Valentine’s Week.